The first version of the sheet music is very high and you may need a bit of Blu-Tac to half-cover the hole nearest the mouth. But I suggest you use the second piece of sheet music instead. If you look at the sheet music above, the last line suggests you can't play these low notes on the tin whistle, right ? 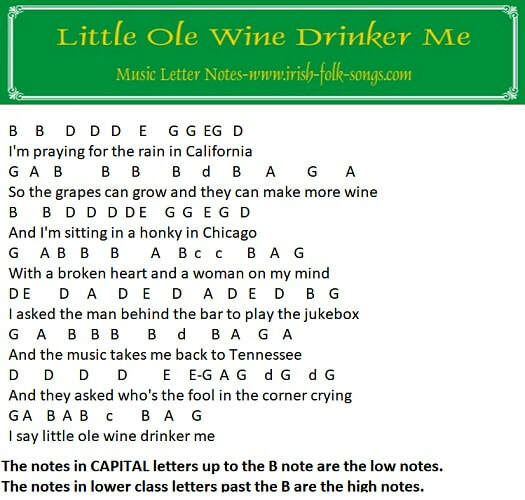 Take a look at the ''Letter Note'' version of the notes below, which is basically the same as the version above. For the last line I just used a couple of D notes in place of the low B and C notes in the sheet. A lot of the time you can get away with this and nobody will notice, only yourself. Tin whistle players do this a lot when they can't play the couple of low notes.